Jurong Port and Oiltanking have jointly announced the signing of a joint venture agreement to develop, own and operate a new liquid bulk terminal that will be located at Jurong Port, Singapore. Jurong Port and Oiltanking Singapore will hold 60% and 40% shares in the jv respectively. Designed to store and handle both clean petroleum products and chemicals, the new liquid bulk terminal will have an initial capacity of 200,000 cu m, with the potential to add another 230,000 cu m, for a total capacity of 430,000 cu m. It will be supported by jetties with a draft of 16 meters, capable of berthing vessels up to 120,000 dwt. 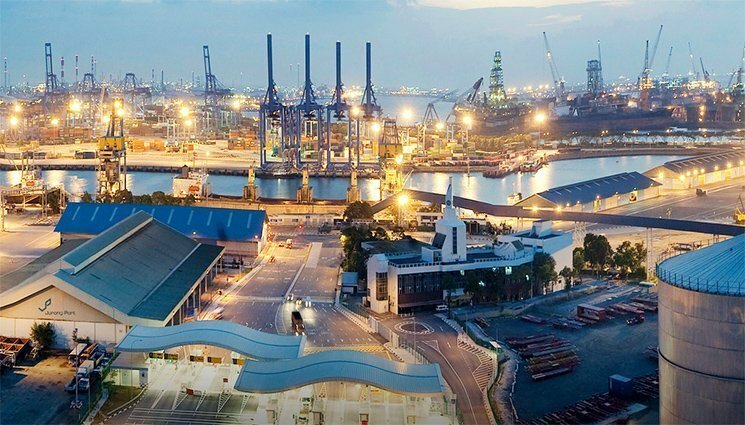 Jurong Port, which is a general and bulk cargo port, said that it views the partnership as an opportunity to enable greater development of its multi-purpose port operating expertise.